Passion. Ulukaya’s always loved yogurt. When he first moved to the US, he found the yogurt products here disgusting. He thus saw a market opportunity for great Greek yogurt. You need to love games to understand what part(s) of the market is not being fulfilled. Take risks. Ulukaya bought his first factory (from Kraft) despite the fact that his lawyer/business advisor thought it was a terrible idea. The factory was being sold “as is”, had a record of failure and required more cash than he had on hand. Yet Ulukaya took the risk because of his passion to create a better product in the US. If you are going to succeed, you must also take risks that will keep you up at night. Take bank loans. In the good old days, banks made money by taking deposits and making loans to businesses. Although not as glamorous as selling mortgage backed CDOs and having Michael Lewis write articles about their business, banks still do have conventional lending departments. Ulukaya was able to borrow the money for his first factory from a bank and then further expand through bank loans. While it is harder for game companies to get cash from a bank, you can often borrow by securing the loans with personal assets (house, car, dog). As you build a track record of success, you can borrow more from traditional banks to grow, rather than having to gain investment in exchange for equity. Perfect your product. Rather than rush his product out, Ulukaya hired a master yogurt maker from Turkey and spent two years perfecting his recipe. This strategy clearly translates to the game industry, in which you need a good designer and should not rush the product out but spend enough time making it perfect. Markets (whether yogurt or game) are too competitive for rushed products to succeed. Ensure mass market distribution. Rather than launch in specialty stores, Ulukaya insisted that Chobani be distributed in mainstream grocery stores. Thus, when the product sales exploded, there was huge room to grow. Too often, I see indie developers target very specific platforms (e.g., Big Fish, Steam) so even if their games do well, they cannot get rich. If you are going to create a billion dollar game company these days, you need to be on iOS, Android or Facebook (or console but that is going to be difficult without startup investment). Price correctly. In Chobani’s case, Ulukaya worked really hard to determine the right unit selling price to fund future growth. He spent a lot of time figuring the costs of his cups, ingredients and labor, and made a simple model to calculate the exact price that would allow him to break even once they hit 20,000 cases a week in sales. The game industry is quite driven but first spend sufficient time to figure out the right pricing model (free to play, premium, ad based) then calculate the numbers you need to succeed, how you will get there and build your economy to support it. Be careful with your cash. This was the biggest lesson I learned while building Merscom and probably the first thing any successful entrepreneur will tell you (and also one of the keys for Chobani’s success). In reality, it is a lot easier said than done. Ulukaya did not hire people in anticipation of growth but met with his finance officer weekly to see what they can afford. He managed inventories carefully and slow paid those bills where it was possible. The point here for any company, including a game company: Managing your cash flow needs to be the top priority. Understand you do not need VC. Once Chobani showed strong traction, potential investors (private equity and venture capital) tried to purchase part of Ulukaya’s equity. The investors’ pitches included attempts to make the company, and founders, doubt their ability to succeed without the investment. They stressed the competitor’s strength or Ulukaya’s lack of experience. Fortunately, he never lost confidence and you need to be able to evaluate fully potential investors’ arguments. Do not forget that they are trying to make money by getting a good deal on equity so your interest is not the same as theirs. As I have said repeatedly, there is no one way or right way to grow a company. You can leverage external investors or build it from cash flow. You can acquire an existing company or grow one based on an awesome idea. 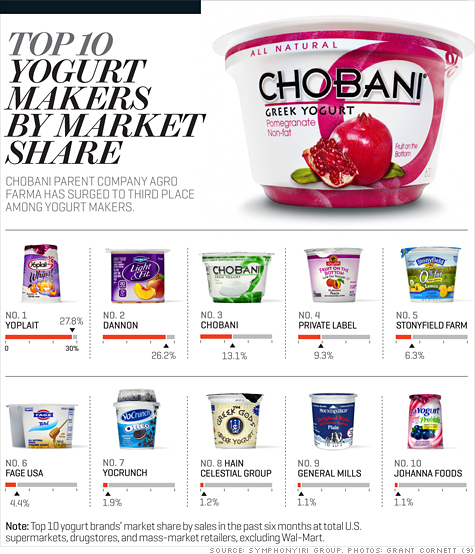 The Chobani example shows there is a clear path to building a great company that does not rely on outside investment. Growing a business without external capital is laudable. If your business generates cash it is generating capital. Some businesses can use customer financing very effectively with advance payments. This is especially effective if you have a steep growth curve. Thanks Steve. Have to admit it is easier said than done, but most things are when it comes to building a business 🙂 Hope you are well.